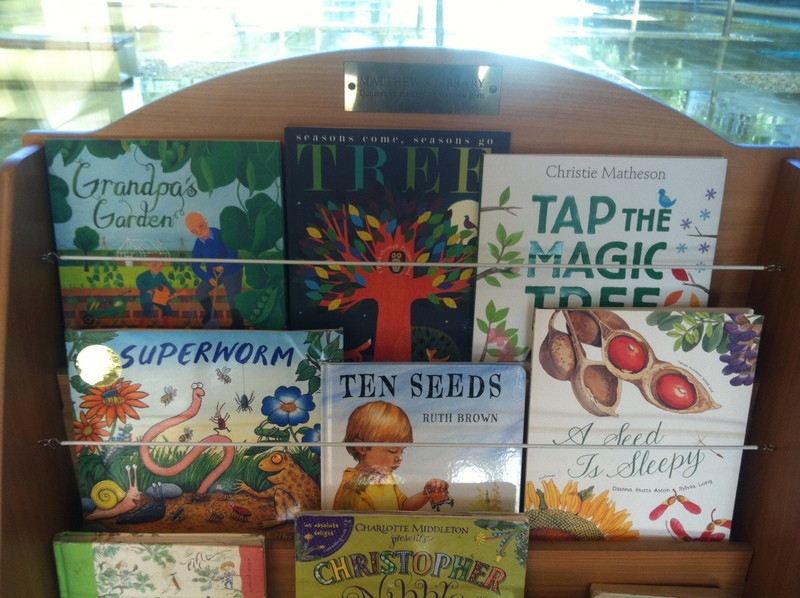 A collection of children’s picture books based on the natural world is available at Matthew’s Library, situated in a corner of the Cafe. Here you can read all about the perilous adventures of Stick Man, Christopher Nibble’s dandelion troubles and the glorious voyages of the Green Ship as well as many other lovely stories. The library was created in 2008 in memory of Matthew Brett, whose parents, family and friends kindly donated funds for the shelving and the books. The library was updated in January 2015 with the original bookcase being replaced with a new front-on display unit and the addition of many new books. If you would like to donate a book to Matthew’s Library please contact the Garden’s Education office education@botanic.cam.ac.uk. We can then send you a list of books that we are currently looking for. Please don’t leave unsolicited second hand books in the library. We hope you enjoy visiting the library. If you have any comments, suggestions or feedback about the books please let us know via email, Facebook or twitter.